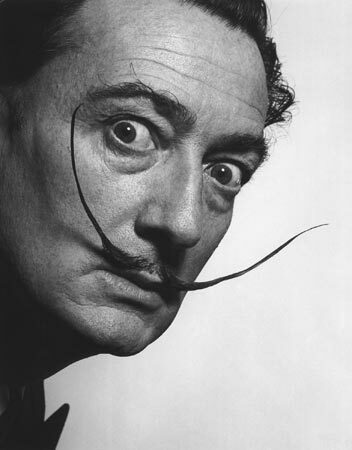 Key to Salvador Dali’s art is his pursuit of concretization of dreams. This involves a credible breach in the civilizational habit of taking reality as fixed entity. Art such as this has to be hyper real in details. This exactness of minute attributes is fraught with danger as modern art abhors photo-realism and definitely the spatial illusion is a raging anathema in the canon of modern art. This is a testimony to ‘freakish talent’ of Dali that he pulled off the audacious artistic coup of ‘renaissance like modern art’. His New York Times obituary in January 1989, while talking of Dali’s virtuosity and his abilities as a ‘high-concept painter’, said “by his involvement with that modernist taboo, spatial illusionism. Dali did not simply resurrect Renaissance perspective. He used it as it had never quite been used before, to delineate an immense emptiness that was both terrifying and seductive, infinite and exact.” “There was nothing he could not do in the way of exactitude: When the occasion called for a representation of a landscape, a seascape, a skyscape, a beautiful woman, a loaf of bread or an expensive watch, he did it to perfection in a style that was all reassurance. Only after a closer look did it become clear that the watch had gone soft like overripe Camembert, that very peculiar things were happening to the beautiful woman, and that it would be a mistake to put too much trust in the lyrical perfection of the land and the sea and the sky. Realism for the Unreal World” said another mourner when he passed away. ''We Surrealists are not artists,'' he is quoted to have said ''Nor are we really scientists। We are caviar, and caviar is the extravagance and the very intelligence of taste.'' This “very intelligence of taste'' was a result of his talent that collided with the rampaging intellectual landscape of his time. He was evolving and prospering in one of the most stimulating times. Communism, fascistic thought schools, capitalism in political economic areas, world wars, scientific developments and new ideas in social sciences and humanities impacted him very deeply. Of the quartet of Modern Masters of 20th Century i.e. Picasso, Matisse, Dali and Warhol, only Dali has shown influence of reigning ideas or even ideologies in some discernible fashion. Picasso, though a member of Communist Party, was remarkably untouched by the events of his day. His Guernica is one of the few paintings that inspire comment on the happenings of the day. Matisse, the painter of refuge and luxury lived in one of the most difficult times during French occupation but his paintings do not carry even the slightest trace of commentary on the events of the time. Warhol benefitted by the contemporary feel of his work by painting the icons of his time but he is not about representation but about presentation. He is not propagating anything, just putting a frame to things and elevating them to the level of art. Dali on the other hand, is illustrator of the ideas that shaped the first 75 years of the last century. His paintings are virtual encyclopedia of the ideas like Psycho-analysis started by great Sigmund Freud. He found many explanations of his sexual and existential anxieties in the concepts of psychoanalysis. He found strong justification for his fascination with sexual inadequacy, threat from father figures and almost morbid allure of death. Things which were cause of his pathological shyness in his adolescence became a badge of honour for him in his later years. Similarly, scientific leaps in quantum physics also found literal representation in his output. Here his fascination rested on the possibility of an alternate reality a deeper more nuanced reality which could be imagined by a contradictory combination of ultra realistic attention to details and taking a flight of imagination that is totally oblivious of rules of Newtonian rationality. With all his bizarre other worldliness he remains a child of his times. These developments encouraged dreamlike output while grappling with the expression of ‘true reality’. Advent of cinema also accentuated this rising respect for non-rational, dream-like representation of reality. At that time they may not look very realistic but definitely alerted fertile minds to experiment away from the reigning notion of modernity. 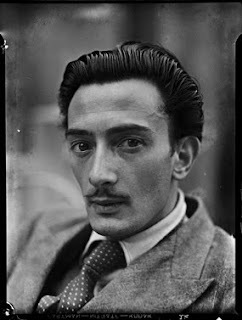 Dali collaborated with Luis Buñuel on two of the underground classics of 20th century film, Un Chien Andalou (An Andalusian Dog) and L'Age d'Or (The Golden Age); he was more in sync with the dynamics of cinematic reality than any other painter of his day, “partly because he was obsessed by the power of cinema to make dreams immediate।” Hitchcock also used him for his dream sequence in Spellbound. He was, like Picasso, taking away the layers of veneers that were obfuscating the reality by venturing into absolutely new ways of depicting it. Difference was he was doing with the tools given to him by the intellectual climate of his times. Whenever he realized the promise of this complex baggage, the results have been truly great. 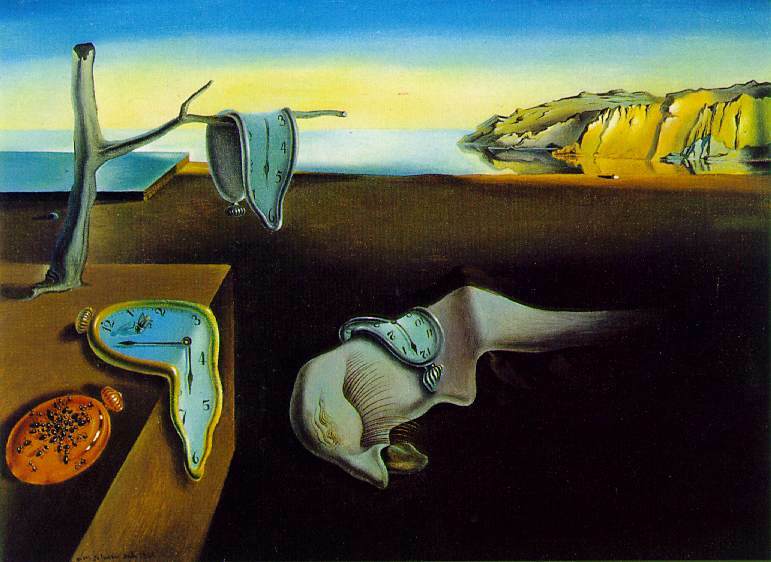 His ‘dreamlike quality’ of cinema were obtained in The Persistence of Memory, 1929, with the softness of watches seemingly unrelated stench of death and an atmosphere of serene morbidity has made it one of the most famous painting of all time. Paranoiac-Astral Image, 1934 illustrates his psyco-analytical obsession in all its majesty। On a vast and empty wilderness of a beach four images are dispersed. “A fragment of an amphora suggests "deep" time, the Greco-Roman past of the Catalan coast. A distant woman, perhaps the constantly remembered nurse of Dali's childhood, is almost bleached out by the sunlight. In a stranded boat, another woman, probably his muse and wife Gala, confronts a boy in a sailor suit who can be none other than Dali himself. And on the left, the hated figure of Dali's father strides along in a three-piece suit, casting a long shadow” says Robert Hughes. You are literally reading a book by Sigmund Freud. ‘Dali's greatest and most frightening work: the Soft Construction with Boiled Beans--Premonition of Civil War, 1936.” Is considered to be the most eloquent anti war artwork of all times, even, according to many, surpasses Picasso’s Guernica. 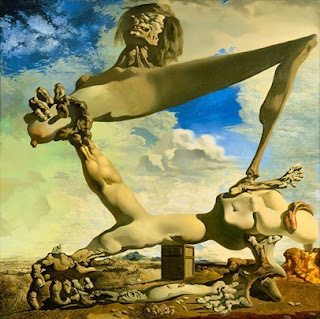 Let me quote Hughes again “with this single painting, Dali moved into the territory of Goya. This monstrous Titan in the act of tearing itself to pieces is the most powerful image of a country's anguish and dismemberment to issue from Spain (or anywhere else) since Goya's Desastres and Disparates. And every inch of it, from the sinister greenish clouds and electric-blue sky to the gnarled bone and putrescent flesh of the monster, is exquisitely painted. This, not Picasso's Guernica, is modern art's strongest testimony on the Spanish Civil War.” Remember Robert Hughes in no fan of Dali. After all, it is all about intelligence of taste. is lekh kee spstataa , sahjataa aur weg prabhaavit kartaa hai .wwastawikataa ke banaawateepan kee khokhal kee cheer faad krne men daalee ne jis klpanaasheelataa kaa aawishkaar kiyaa wah duniyaa kee thaatee hai .atiyathaarthwaad ne hee darasal us jameen kee khoj kee thee , jis par jaaduee yathaarthwaad kee maayaa nagaree aabaad huyee. samaajwaadee swapn ke viroopn ne jis vidrohee kalaa ko janm diyaa , wah akaele chhoot gaye vyakti kee gahree yaatnaa aur awasaad se kabhee mukt n ho sakee. pikaso aur daalee men shaayd badaa farq yahee hai ki ek kee kalaa men vidroop ne jeewan ke ullas ko nasht naheen kar diyaa hai , jab ki doosre ke yaahn ullaas vidroop ban kar hee jeewit hai. tum behad sanjeedaa aur umdaa kaam kar rahe ho . angrezee men aisaa kaam aur log bhee kar rahe honge , lekin hindi men is or ruchi rakhne wale gine chune log bhee naheen hain. tum hindi bahut achhchee likhte hao . meraa sujhaaw hai ki tum hindi men kaam karo to hamare jase logon ke liye adhik moolywaan hogaa. Ashutosh. Though I am quite sure that 'review method' is at work, phir bhi tumahare comment ke liye main bahut aabhari hoon kyonki isne mujhe bataaya asli analysis kaisi hoti hai. Hindi main aaram to hai par ab meri bhasha bahut sankuchit ho gayi hai. Paragraph ke baad shabd repeat hone lagte hain. padna kam hota hai to likhne ka bhi awasar kam he aata hai. यह सब बेकार की बहानेबाजी है. यकीन करो , मैं भी अपने आप को ऐसे झांसे देता रहता हूँ.तीनेक लेख तनिक झुंझलाते हुए लिखोगे तो चौथे में मज़ा आने लगेगा. वैसे तुम अंग्रेज़ी लिखो या फ्रांसीसी या भांड में जाओ, मुझे तुम्हारी ज़रा भी फ़िक्र नहीं है. मुझे फ़िक्र हिन्दी की है , जिस में इन विषयों की चर्चा का डरावना अकाल है .इन में रूचि लेने वाले सब अंग्रेज़ी ही पढते हैं , और फिर अंग्रेज़ी में भी कुछ लिखने की जगह केवल 'अंग्रेज़ी' लिखते हैं.तुम काम की चीज लिख रहे हो .हिंदी में इन को पढ़ने के प्यासे बहुत मिलेंगे.चीजें जरूरत की जगह पहुंचेंगी . अंग्रेज़ी में हम जैसे तुम्हारे नालायक दोस्तों के अलावा इन्हें पढ़ने वाला भी आखिर कौन है.मेरे सुझाव पर दुबारा गंभीरता से सोचना. Good that it went to spam.